The RAP-B-378-UN7 consists of the flex adhesive base with 1" ball, double socket arm and universal X-Grip� cradle. Using a PSA stick pad, put the flex adhesive mount practically anywhere you want to keep your portable electronics easy to see and always within your reach. Designed with a very small foot print, finding a home on your scooter, motorcycle, kayak, boat or vehicle dash is easy. The mount is designed with a RAM 1" diameter patented rubber ball and socket system that has adjustment points at both ends of the double socket arm; this allowing for almost infinite adjustment and perfect viewing angles. 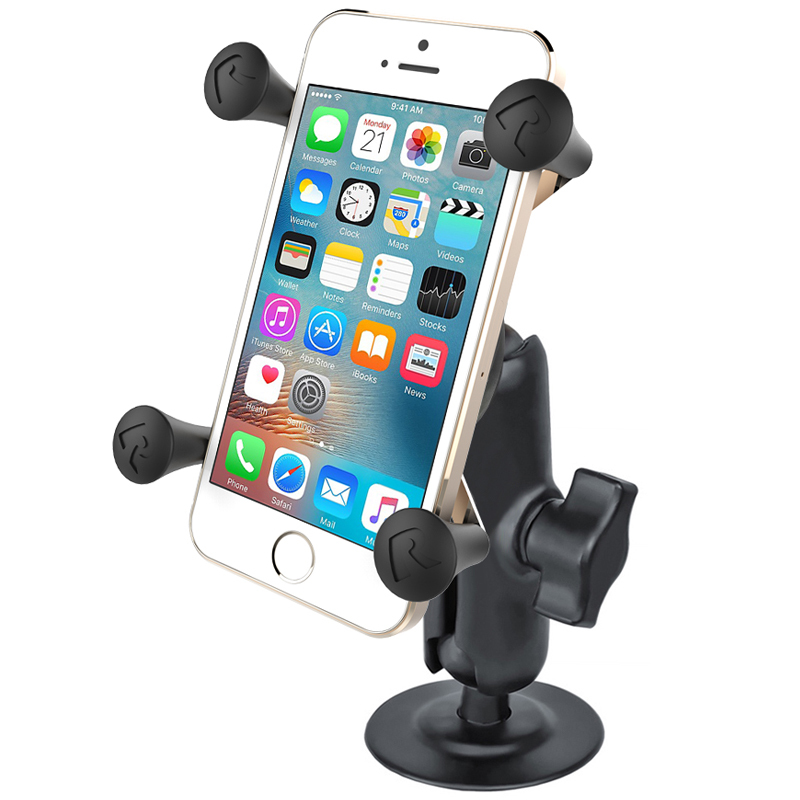 The included X-Grip� cradle has a clean and clever four leg design that sports great holding power without hiding your phone behind foam pads and plastic. The spring loaded X-Grip� cradle expands and contracts, allowing for a perfect custom fit of your cell phone. The X-Grip� includes a device tether recommended for outdoor applications. The cradle is compatible with handheld devices that will fit the dimensions listed below. It is important to verify the dimensions of your handheld device with a case/sleeve/skin when determining the overall size. This product was added Friday 21 July, 2017. This product was last modified on Friday 19 January, 2018.